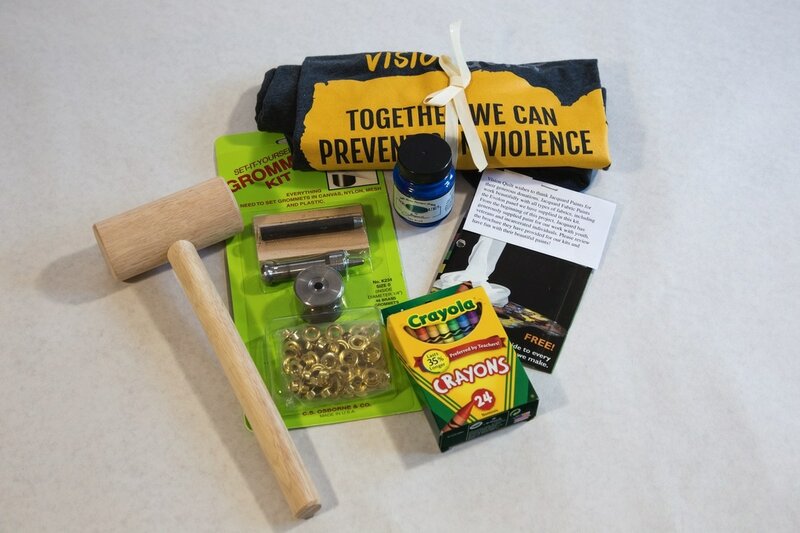 Would you like a Vision Quilt boxed toolkit? 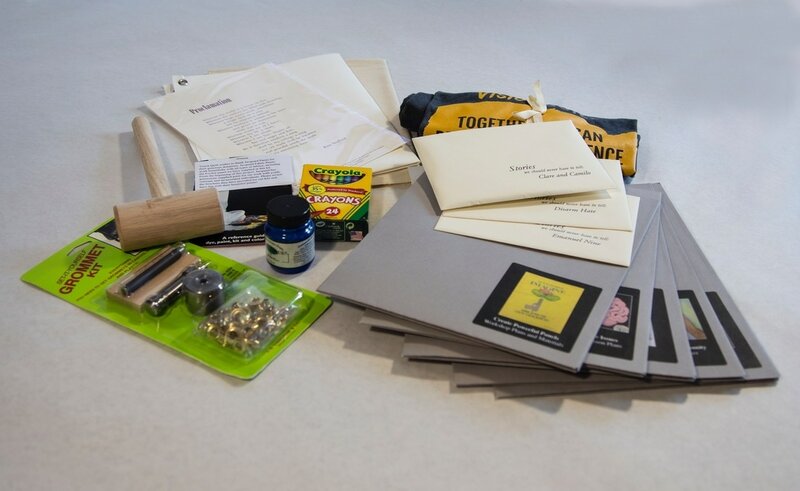 While many of the materials are in available in our online kit, the full boxed kit offers much more. Interested groups and individuals can order a kit containing information, support materials, and guidelines for working with Vision Quilt. Five folders provide documents including workshop plans, lesson plans, community engagement ideas, action guides and media strategies. 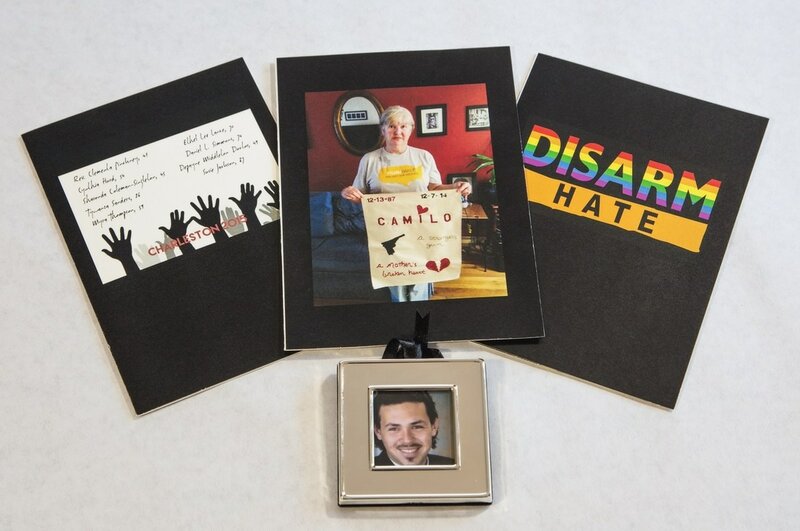 The kit also includes stories of survivors, a letterpress poem, practical items such as a grommet kit, and a video exemplifying dialogue among very diverse views on guns and violence. To learn more about getting a kit for your community please email us. We'll reply promptly with details.